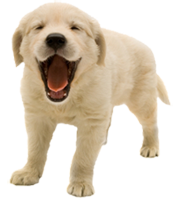 When you are looking for a veterinary clinic you want superior care and excellent service. The Animal Hospital at Steiner Ranch has a highly capable team to bring you the best possible health care for your pet. We have a state of the art veterinary facility which is clean, comfortable, and efficient. Call 512-900-2728 to schedule an appointment and we will find a time that is convenient for you. At least once a year, you should bring your pet in for a check-up. This will include a full physical exam and parasite screening. Dr. Cole will check the health of your pet from nose to tail, and may recommend additional diagnostics to detect hidden problems. An annual dental cleaning with digital x-rays to look for hidden tooth and gum problems is also highly recommended, not only to keep your pet's mouth smelling better, but also to eliminate dental problems that can be quite painful and can even shorten its life. Your pet will be very happy you came to The Animal Hospital at Steiner Ranch. Bring in any medical history you have of your pet when you come to The Animal Hospital at Steiner Ranch. Consider keeping a journal or file of your pet's health throughout its life, including behavioral shifts. If you have something like this, share it with our team. If not, let us know everything you've noticed that might be important. In some circumstances, Dr. Cole will refer you to a specialist who has advanced expertise in areas such as internal medicine, dermatology, ophthalmology, cardiology, neurology, behavior, radiology, dentistry, or surgery.